Pellet smokers are a pretty big investment. That makes it all the more important to choose the right brand. When comparing Camp Chef vs Traeger, you’ll find lots of dedicated enthusiasts who claim that their smoker is superior to the competition. So who’s right? Which smoker should you buy? Let’s tackle those questions (and more!) in these detailed reviews of some of the top pellet grills from each manufacturer. I’m not going to beat around the bush: I think this is one of the best pellet grills in its price range. There’s very little to complain about here and plenty of extra features that help to separate this grill from the competition. Notably, the sear box allows you to use this for both precise low-temperature slow cooking and incredibly high-heat searing. If you’re one of those people who actually wants to reverse sear their steak at well upwards of 600F, this pellet grill is an incredibly good choice. Even without the sear box, however, this is an incredibly good pellet smoker. If you want to cook incredible barbecue (like ribs, brisket, and more) or even smoke a turkey for your thanksgiving dinner, this is one of the best tools around. The first reason for this is the temperature accuracy. Barbecue is all about keeping your meat (or vegetables) in the right temperature range. 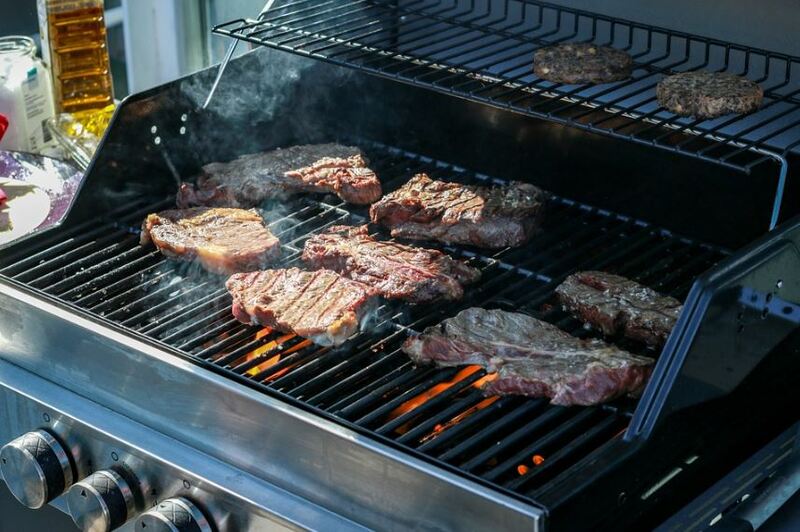 If the grill swings up or down by five or ten degrees, your meat will cook too fast or too slowly. This can impact the texture, the taste, and even the appearance, since you need to keep your meat in a fairly narrow temperature range in order to develop smoke rings. Not only does this pellet smoker stay within a few degrees of the temp you set it to, it also comes with a built-in temperature probe that you can use to monitor your meat. Now, to be fair, most serious barbecue enthusiasts have a set of wireless temperature probes these days. Having one built into the grill isn’t that big of a deal. What is a big deal, however, is the inclusion of an extra setting for several key temperatures. “Lo Smoke” and “Hi Smoke” set this smoker to about 175 and 210 respectively. Instead of letting the pellets burn like normal, however, the auger performs a special routine that lets them smolder for longer, meaning you’ll get more smoke inside your smoker. One other important feature is the ash removal system. Camp Chef has some pretty smart designers who have worked out a system that directs ash through a trap door and into a removable cup. This doesn’t mean you never have to clean the bottom of your smoker – you’ll have to clear out grease and debris occasionally – but it does mean that you won’t spend very much time cleaning out ash. Speaking of maintenance, the fuse in this bad boy is hilariously easy to access. This is a surprisingly uncommon feature in high-end pellet grills. If you use a grill enough, the fuse will blow. Having easy access to this important component makes changing the fuse a breeze. 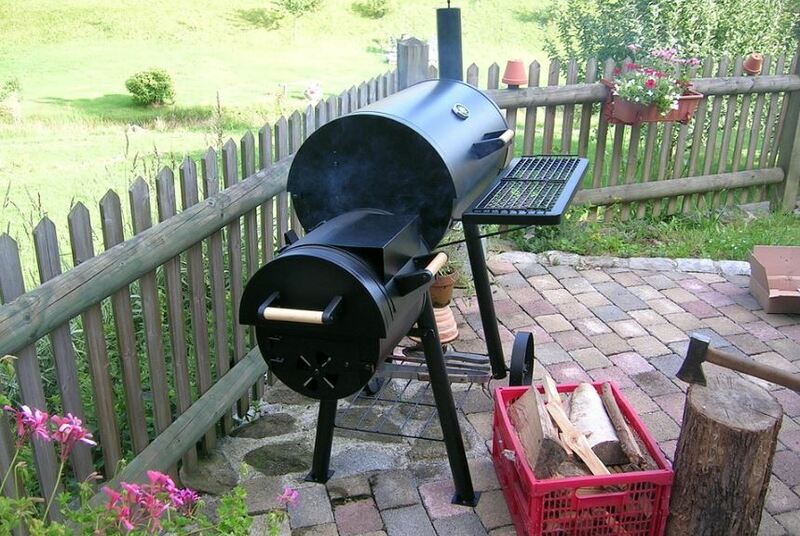 The basic operation of this pellet smoker is pretty standard. You load pellets into the hopper, an auger feeds them into a firebox, and they’re burned in order to produce both heat and flavorful smoke. first, it’s got a trapdoor that you can use to dump the currently loaded pellets, enabling you to switch wood types fairly easily, even if you’re in the middle of cooking. Second, it’s got a protective cover that keeps your hands from accidentally getting caught in the auger. Camp Chef includes a tool that you can use to manipulate the pellets through this grate. When you turn the temperature dial on this smoker, you’re interfacing with a basic electronic control board that controls the speed of the auger. Higher temps mean more fuel going to the firebox (and also more fuel consumed). The smoker portion of this grill can hit temperatures of more than 450 with ease. Attached to the side of the smoker, the propane-powered sear box gives you more options when it comes to cooking. You can actually get a pretty similar version of this grill without the sear box reviewed below), but I think that the sear box is usually worth the increased cost. Think of it like this: you can either buy and maintain a separate grill for high-temperature cooking, or you can pay a bit more to get an attached box that makes finishing steaks or fish or anything else you want to put a nice crust on a breeze. It’s literally right there. It’s also crazy powerful. The sear box can hit 900F, which is really, really hot. This means you’ll actually get a properly blackened, crunchy layer if you want one. Many people I know wimp out when it comes to searing their steaks – not because they want to, but because they simply don’t have the right equipment. The raw power of this sear box makes doing things right really, really easy. The best part of this grill, in my opinion, is the cost-to-surface area ratio. You’re not sacrificing anything in order to save money here. Instead, you’re getting a high-quality tool at a pretty reasonable price. The SG version of this grill has a cooking surface with 811 square inches of space. The “regular” Woodwind is slightly more compact, with 570 square inches. Both give you enough space to cook multiple briskets at once. With Camp Chef, pellet grill problems are quickly and efficiently solved by a small team of dedicated, knowledgeable service reps. You’ll have no issues getting the company to honor their warranty. 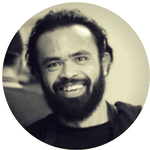 Their QA isn’t perfect – an imperfect product will slip through the cracks occasionally – but it seems to happen quite infrequently, and when it does, they’re quick to fix their mistake. This is probably the smoker you should buy. The sear box gives you additional, high-powered options for finishing your food, while the precise temperature management ensures that you can leave this to cook meat for hours with little supervision. Key quality-of-life features include an ash dump for easy maintenance, effortless fuse access, and most importantly, the ability to dump pellets in the hopper with the pull of a lever. You’ll be able to switch flavors in minutes without any tools other than a bucket. The key difference between this and the full Woodwind above is the lack of a searing station. Otherwise, the Camp Chef SmokePro DLX is quite similar. This particular model is the same size as the non-SG Woodwind, giving you 570 square inches of cooking area. Again, as far as features, temperature control, and even looks go, this is pretty similar to the Woodwind. You get a shelf that sits where the searing station should go, but otherwise you’ll notice few differences in practice. Honestly, while it’s easy to write this model off as an inferior model, it’s got everything you need as far as smoking and even medium temperature grilling go. You’ll have trouble hitting temperatures at the very upper end of your indoor oven’s range, sure, but you’re not getting a pellet smoker for high temperature cooking. Instead, you’re getting one for barbecuing foods slow and low. As far as this key, critical function is concerned, this tool is a total equal to the Woodwind above. This makes this the superior choice to any barbecue chef on a budget. Alternately, if you don’t mind maintaining two grills (or if you use a different tool to sear your steaks), this is a pretty good choice. You’ll save a bit of money while still getting an absolutely astounding Camp chef pellet grill. My sources say that 8 out of 10 pellet grills in America were made by Traeger. This industry titan was responsible for pioneering the home pellet grill. Smart marketing from Traeger has played a huge role in the popularity of these ingenious tools. Does this mean you should buy a Traeger? Traeger paved the road, sure, but they don’t necessarily make the best cars. There have been a number of quality complaints about Traeger products in recent years, especially after the brand outsourced its production to China. Since so many people own Traeger grills, it’s difficult to separate the wheat from the chaff – do you find so many complaints online because Traeger makes bad products, or are there simply so many Traeger owners that a small percentage of defective units can produce many, many complaints? This particular grill might offer some insight regarding the answer to that question. It’s a robust 646 square inch model with a digital temperature controller with plenty of stops. It’s not quite as fully featured as the Camp Chef above, it’s a bit more expensive (usually, online sales vary), and it’s a lot smaller than the big SG version. In other words, I think it’s worse. Perhaps the biggest complaint about this Traeger isn’t its cost, but instead its temperature controller. Traeger was one of the first companies to put digitally controlled augers in its pellet grills. Their venerable technology really shows its age when it’s compared with brands like Camp Chef. This particular model will fluctuate by up to 20 degrees during normal cooking. This isn’t going to ruin your food, necessarily, but it will make it more difficult to get things perfect. The “tighter” temperature range on a Camp Chef ensures that your food will be more predictable, if not better. Other complaints might include the lack of convenience features or the high cost, but I feel like the shoddy controller is honestly the worst part. You don’t want your ribs to get cold when a blast of chilly air hits your backyard, and you certainly don’t want them to get too hot when the sun strikes your smoker at the wrong angle. Most serious chefs use wireless temperature probes these days, but even then, you don’t want to be rushing outside to adjust a temperature that’s supposed to be constant. Again, this is a functional, useable pellet grill. Five or ten years ago, the temperature fluctuations on this grill were much more acceptable. The issue here is that other brands have moved on, while Traeger seems stuck in the past, at least as far as their controllers are concerned. It’s like comparing a modern smartphone with a Blackberry. Traeger’s Timberline series seems to have corrected at least some of these issues. It’s quite pricey, however, and many reports suggest that it’s a somewhat rushed product. I’m confident that Traeger will iron out any issues with the next line of grills. In the meantime, however, it seems prudent to skip Traeger in favor of brands like Camp Chef. If you can find a better, more consistent product with more cooking space, more quality of life features, and a more accurate thermostat, why choose Traeger? If you can find this pellet grill on steep sale, it’s a good buy! If it’s more expensive than a comparably sized Camp Chef, however, I’d strongly suggest the Camp Chef instead. Traeger’s smoker is a bit worse in a number of measurable ways. So why choose a pellet grill at all? Here are some of the pros and cons of pellet grills so that you can decide whether to get one at all, and which one you should get. Smoky Taste – Special hardwood pellets burn and impart a distinct, smoky flavor to your food. You can choose what flavors you’d like to add by simply using different types of pellets. Low Heat – Pellet grills are absolutely perfect for low temperature cooking, especially for long periods of time. They usually have trouble getting over 500 F, however. You’ll definitely want to use a different tool for high temperature cooking. 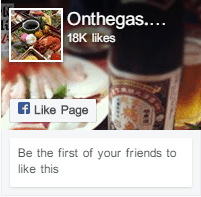 Cheap, easy fuel – Propane is quite universal. You can pick up a tank at pretty much any hardware store and many gas stations. 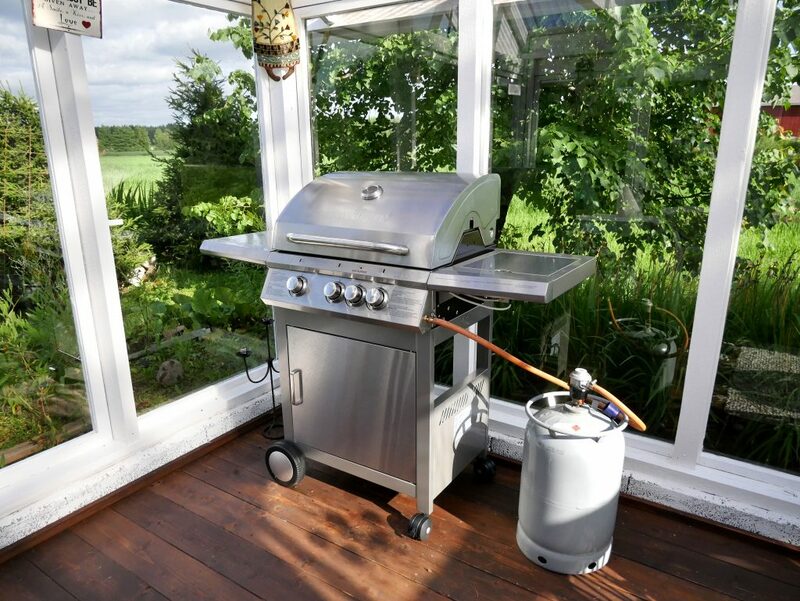 Flexible Temperatures – Since you can turn the flames on a gas grill up as high as you’d like, you can reach some incredible temperatures. They’re still pretty good for slow cooking, too, although you’ll miss the extra flavor added by a pellet grill. 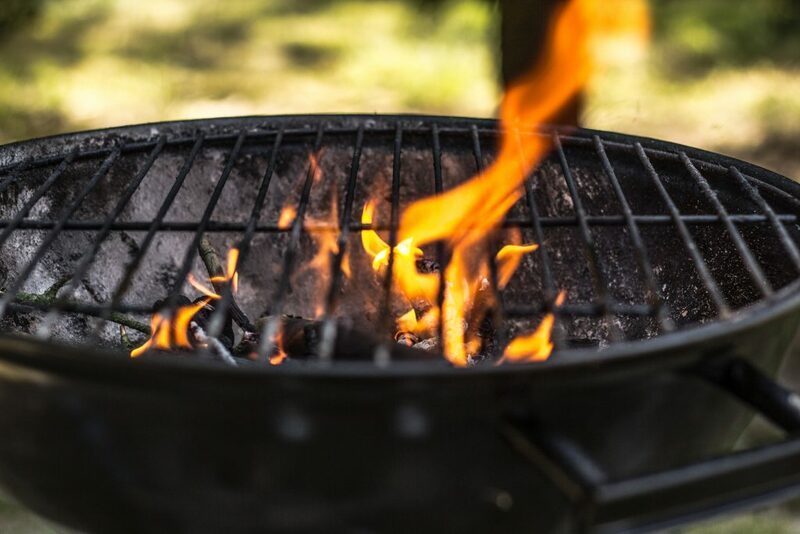 No Smoke – While you can technically add smoky flavors to food cooked on a gas grill by adding wood chips or other special products in the grill, you won’t add anywhere near as much flavor as a pellet grill. 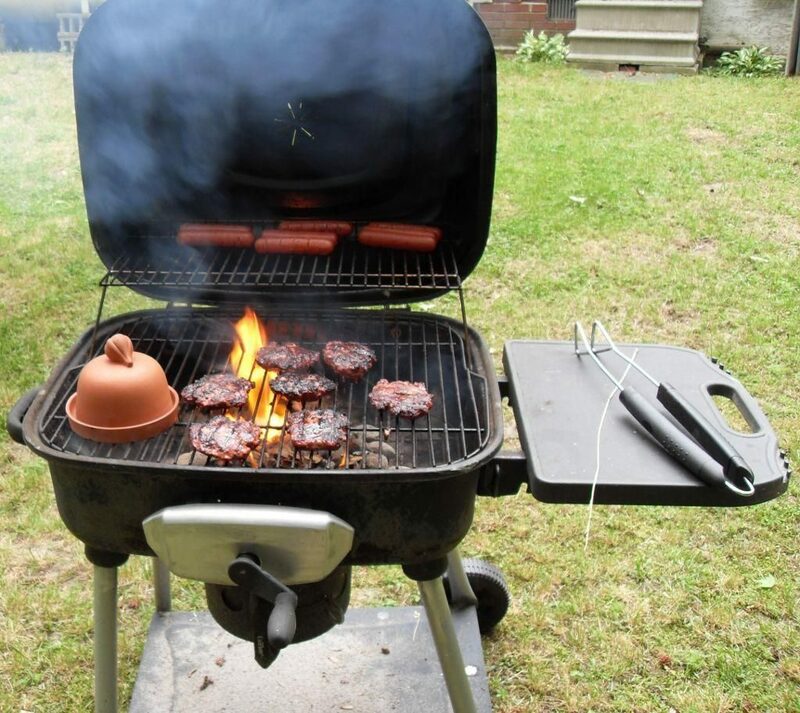 Worse Temperature Control – Most gas grills have a simple knob that controls how big the flames get. Pellet grills, by comparison, tend to have thermostats that keep the temperature steady for slow cooking. Physical Fuel – Cooking with charcoal is fun and adds a bit of flavor. It’s not the same as a pellet grill, sure, but it’s more flavorful than gas. 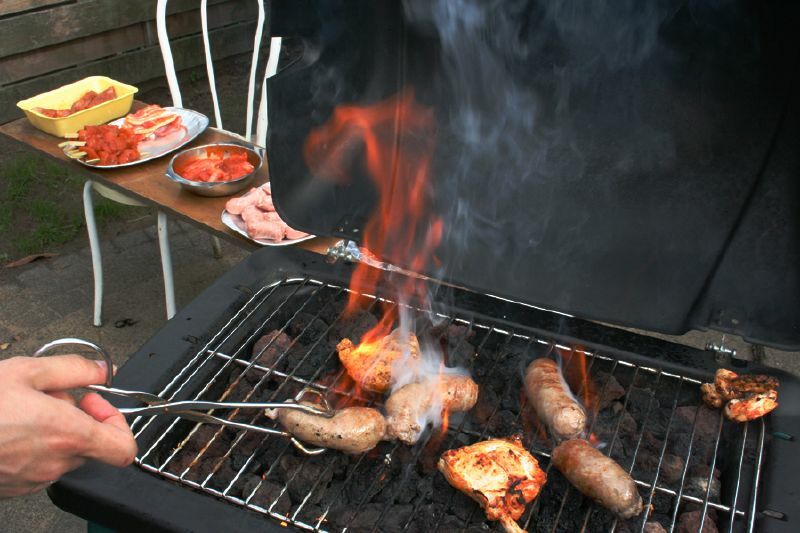 High Temperatures – You can add lots of fuel to your charcoal grill and get things pretty hot. It’s not necessarily as controlled as a propane or pellet grill, but it’s really nice for searing. Note: temperatures on the Camp Chef smokers were tested in somewhat generous conditions, while the +/- 20F was provided by Traeger and may include adverse conditions. Still, I’m confident that the controller on the Camp Chef is better than the Traeger when it comes to maintaining a specific temperature under normal circumstances. Why Choose A Pellet Grill? 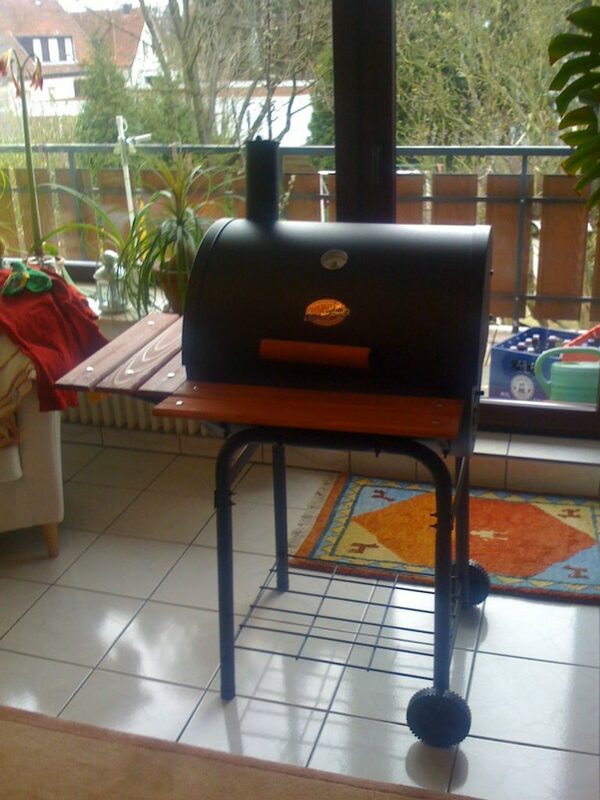 Pellet smokers are perfect for barbecue. 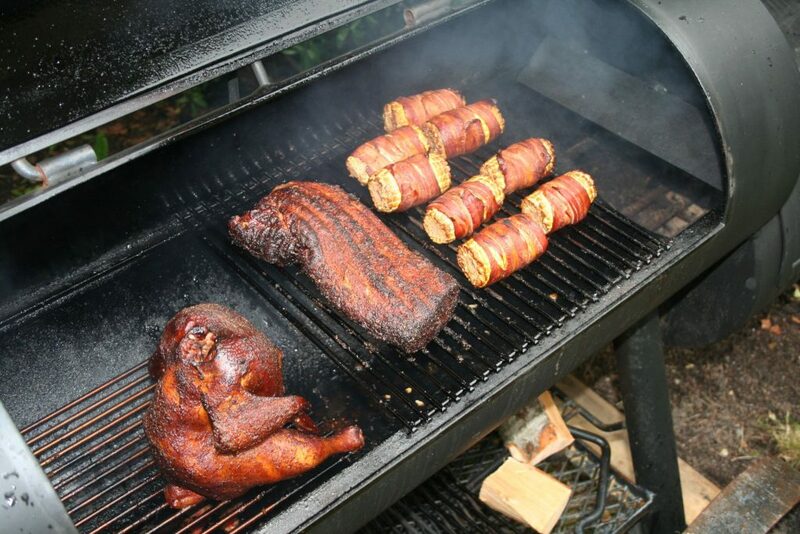 You can load up a smoker, set it to 225, go to sleep, and wake up the next day with confidence that your smoker maintained a steady temperature while you were asleep. This is perfect for anything that you want to slow cook, since you’ll imbue your meat (or vegetables or fish) with a wonderful smoky flavor while you keep it at a perfect temperature for tenderness. This is achieved by two miracles: a digital controller, and the pellet fuel itself. Modern electronics make it cheap for manufacturers to build a basic system that adds just enough fuel to the fire to maintain the temperature you want. It’s a fairly simple process that involves a temperature sensor, a chip, and a motor driven auger that makes sure the pellets wind up in the right place. The pellets themselves are a key part of this entire operation. They’re specially made from bits of hardwood and food-safe ingredients that help them keep their shape. These pellets are typically less than $1 per pound and available in a variety of flavors. This means you can choose hickory, mesquite, oak, apple, or cherry smoke in order to impart the flavor and finish that you want to your brisket, bacon, or ribs. While it’s certainly possible to find a supplier of hardwood pellets near you, I find that it’s easiest to simply order them online. Sites like Amazon tend to have very inexpensive shipping, even if you buy 40 to 100 lbs of pellets at once. This gives you an incredible selection in terms of wood types, brands, and more. It also means you don’t have to carry the bags from the store to your car, and then from your car to your house. It’s never been easier to have a bag of pure mesquite hardwood pellets shipped directly to your door. While Traeger is still an industry titan, its market share may soon drop in the face of stiff competition from brands like Camp Chef. Traeger might have been the brand to popularize the pellet smoker, but it seems like other manufacturers have caught up and are now offering products that can give this goliath a run for its money. The Camp Chef reviewed above is more accurate, easier to use, and bigger than the Traeger grills we found at the same price point. Equally importantly, Camp Chef’s customer service seems to be absolutely incredible, meaning you don’t have to worry about any manufacturing defects that happen to slip through. If you can get a Traeger on sale, you’ll get an excellent pellet grill. If you can’t, however, I recommend choosing a Camp Chef. You’ll save money and get a smoker that’s a little bit better.